Nicholson Baker: The next writer of James Bond? 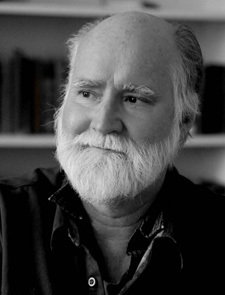 Nicholson Baker is a novelist, humorist, and social critic. His most recent release is The Paul Chowder Chronicles, which brings together two novels about Paul Chowder: The Anthologist and Traveling Sprinkler. Baker received a National Book Critics Circle Award in 2001 for his Double Fold: Libraries and the Assault on Paper, a nonfiction look at the decline of paper-based materials being archived by libraries. We talked about whether there will be more Paul Chowder books (yes), whether Baker worries about how people confuse him for his character (no), and what genre he’d really like to write (hint: it’s in the post’s title). Nicholson Baker will be appearing at the Thurber House Evenings with Authors on October 21. Get your tickets now. This entry was posted in Events to attend, Thurber House author and tagged humorist, Nicholson Baker, novelist, social critic, The Paul Chowder Chronicles. Bookmark the permalink.